my 10th year to do the challenge! A 12 string improv this time. 5th and 6th unison strings tuned a 5th apart and 4th pair tuned a 4th apart. Not such a great year. But here's this anyway. 2017 better be better. uh huh. Goodbye to a tumultuous year of joy, sadness and changes. A tribute to David Bowie. Sort of. Recorded this Townes VanZandt cover during preparation/equipment testing for RPM challenge. Another wonderful rhythm guitar part I borrowed from Keith Landry. Added lap steel guitar, bass and drums. Borrowed Keith Landry's dynamic acoustic guitar part to help me write the most personal song I've ever written. Recorded last February for the RPM challenge, but didn't feel right putting it up until now. Annie Taylor was the first to survive going over Niagara Falls in a barrel back in 1901. The final track on the rpm album, Inosculation, although the lap steel part wasn't recorded in February. Track 2 for the RPM 2015 album Cold Ground Was My Bed "Yesterday was a den of sorrow, today is a bright mystery, the future a dim dream or ancient history"
RPMX track 3 I was pissed off. Still am. Track 8 for the RPM 2015 album Cold Ground Was My Bed For the great Joni Mitchell of course. Live looped vocals. 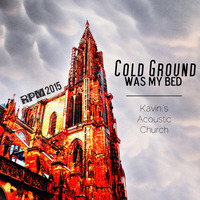 Track 10 for Kavin.s Acoustic Church's RPM Challenge album Cold Ground Was My Bed. August 5, 2012 took the "art guitar" and recorder down to the Fort Worth Modern Art Museum and recorded some noodling inside the Serra sculpture Vortex. Also added some other Vortex perfs from 2008 to this playlist. A little fingerstyle improv in DADGAD tuning inside the Serra sculpture Vortex at the FW MOMA. No fx added. Okay, last one. Thanks everyone for your kind comments! Sunday aftnoon (11/09/08) took the reso down to the Fort Worth Modern Art Museum and recorded some doodling inside the Serra sculpture Vortex. No effects added, all natural reverb inside the structure. Decided to finally upload this, warts and all. Acoustic live looping improv, through the DL4..DADGBD tuning with a banjo capo 3rd fret under the neck. Acoustic improv. Top 3 pairs of strings tuned a 4th apart on 11 string guitar. And a touch of synth. an improv on the Taylor. I was going to blow off the RPM Challenge this year, then someone gave me a cgb and ruined those plans. Jim Goodin and Kavin. free jamming over the internet, NYC to FWTX. 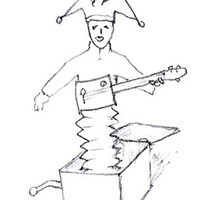 Fiddle,cigarbox guitars, "prepared" 10 string guitar, koto, snare, looping devices, whatever we could get our hands on! 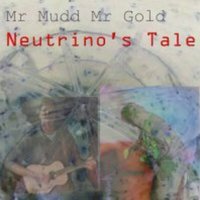 Jim Goodin and my MrGold & MrMudd project, album for the RPM Challenge, Neutrino's Tale. Recorded free jam entirely over the internet using ninjam, Brooklyn to Fort Worth. Jim Goodin and my MrGold & MrMudd project, album for the RPM Challenge, Neutrino’s Tale. Recorded free jam entirely over the internet using ninjam, Brooklyn to Fort Worth. My annual end-of-year-best-of release. Colabs, improvs, covers and live stuff. Enjoy. Bob Dylan tune, but this is the George Harrison version. What with all the great Zep covers posted by Tworegs and Chris Vaisvil, here's mine, I enlisted the vocal of the man himself, thanks Reg! Also note my new fretless strat as second guitar here. The old Steel Guitar Rag. A two-channel experiment on the new Seagull. Left is bridge pickup, right is LR Baggs soundhole pickup. The original by Breaking Light is here: http://alonetone.com/breakinglight/tracks/ssum092113editwvideo I loved it and just wanted to add some minor synth/vocal touches and make it even spacier. Thanks Kavin! 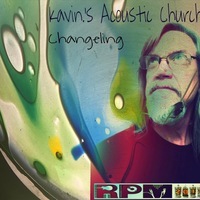 Assorted acoustic pieces that have been released over the past several years for the RPM Challenge, ImprovFriday/Sound-In, etc. that now have an album of their own to call home. 6&12 string guitar, mandolin, koto and cigarbox guitar, some live looping as well. Reso improv, warts and all. Some pitch shifting and delay employed here and there. Dedicated to the great Jack Rose, who left last December. Mando improv with some looping at the end. Thought I'd try an improv with two capos to get an open C tuning. 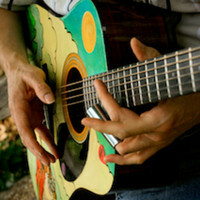 12 string improv experiment with stereo mic setup and dual capos to get a Csus open tuning. Fooling around with a friend's mandolin. tech: Epiphone mando, direct in, 2 tracks, Logic spaces small hall setting. Yes, I'm a big PF fan. Here's some of my favorite covers on alonetone. cover of the pink floyd song dr alfredo de pietra on guitars and myself on vocal duties. a slighty different mix from the two versions at songcrafters. Syd was one of a kind. Recorded live with backing vocal added. Great song written by Pink Floyd. Really wanted to try and learn what i would consider one of the best lead guitar solos of all time, recorded this in early 2010 and it's my effort at learning the solo. Hope you enjoy it. Pink Floyd cover from A Momentary Lapse of Reason album. Minus all the cool leads and saxophone and organ. Just grit. Just CM doing a cover in his own style. Just is. Pink Floyd song, updated. I hope you enjoy this one. floyd cover, is there anybody out there? This one's for Johnny, who encouraged me to record this country-ish version, it's one-take, warts and all. Recorded in 2005. Joe Silence - vocals and all instruments; tracked by Joe Silence at Spit Recorders. Mixed by Joe Griffin of Toxic Bag Productions. The guitar solo is not actually a guitar. 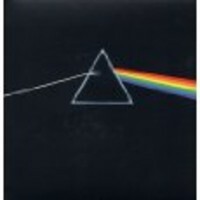 I ruin Pink Floyd with vocal and piano in 12 of 19 equal tuning no less. Very simple version of this Pink Floyd classic. Lots of mistakes and some notes out of tune. Anyway, I hope you like and/or enjoy. A bit of 'Cymbaline', one of the most wonderfull songs by Pink Floyd. I hope you like and/or enjoy. Just a sampling, for promotional purposes, of tunes I play in my live sets. The first song (with vocals) I've recorded for RPM month, for the Love Light Shine project. A depressing tale of redneck angst. 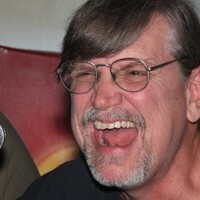 A sample tune from my 2006 cd "Texas Tonefreak" . Commercially available in all the usual places. An RPM demo for the Love Light Shine project. Daughter Brit turned 13 on 9/9/09, this song is for her. For the RPMC album "Sabbatical"
Another in the ninjam series. 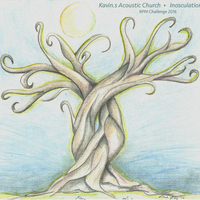 Kavin., Jim Goodin and Ray Istorico, remix from tracks 4/20/14 session, remixed by Ray. Another one in our ninjam series. Myself, Jim Goodin, Ray Istorico and an unknown drummer named Stick. Mix By Jim. Jim Goodin and I from our 2nd ninjam session. A "ninjam" over the internet with Kavin, Jim Goodin and Ray Istorico. A remix of part of our Ninjam from 3/16/14. 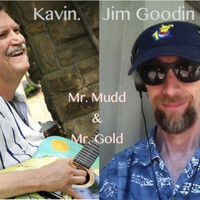 MrMudd&MrGold is a duo project with my friend from Brooklyn, Jim Goodin. Inspired by our common interest for acoustic improv and love for the music of Townes VanZandt and Steve Earle.